I noted that Tsakos Energy Navigation (Ticker: TNP) hit an all-time low recently, and I wanted to put some things out there reminding us about the value in the company, and future opportunities it has, since this seems like such a dark time. 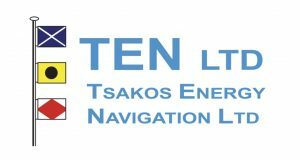 Tsakos Energy Navigation (TEN) (NYSE: TNP) is among the largest independent transporters of energy in the world, managing a fleet of 60+ modern & competitive vessels. Tsakos is run out of Athens Greece, and has a strong reputation in the energy transportation industry, with its well experienced management team serving customers including state entities and international oil majors (BP, Petrobras, Shell, Chevron, etc. are all regulator customers). The company is focused on long term strategies, which have allowed Tsakos to navigate the waters of what can occasionally be a turbulent market and their nimble management of variable and fixed contracts have delivered strong performance relative to market shipping rates. As the industry continues to be subject to strenuous environmental and safety regulations, Tsakos strives on being ahead of the curve by maintaining a modern fleet (average age 7.5 years vs. the world average of 10 years) built with future requirements in mind. TNP is one of the largest independent transporters of energy in the world, and one of the most established players in the industry with a strong reputation. This has been a uniquely difficult time, where 2016 & 2017 saw possibly the hardest oil tanker market in history, following what may have been the best and most profitable in the years before. 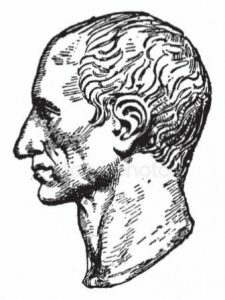 During this period the industry became oversupplied as transporters rushed to build ships to take advantage of the high rates. Also, note that even given the abysmal conditions, TNP still maintained the dividend payments, which as of today are listed by Yahoo at over 7% due to the price drop. Since then, we have been seeing more normalization, especially this year where the amount of ships taken out of service (scrapped) was higher than other historic levels. Up until these last two months, we have seen a greatly improving environment and recovery beginning for this industry, until what we have now with oil prices which Camarda views as a short term roadblock easily navigated by TNP. If we see that tanker rates can support themselves, and continue to increase as we have observed increases in 2018, TNP will stand to benefit greatly given the business strategy. More importantly, we should be reminded that one of the most fundamentally important data points of global oil demand is still continuing to increase, and places like China are looking to become a bigger part of the import market. These main factors are what will open up new doors for growth in the industry. When you pair this with the increased scrapping, the market becomes more competitive and fears of overcapacity and fighting for contracts lowering rates are weening down some pressure. Tsakos’ strategy of rate and contract management allow for the company to take advantage of rate upside, but to also have ships in stable long-term contracts, has allowed TNP to outperform the industry spot market by 60% through the third quarter. It continues to achieve positive operating income and positive adjusted EBITDA in the $100M+ range2. The company just won $250M in new revenues over an average 2-year period though securing its 24th long term charter in the year alone. With this, TNP has $1.15B in secured revenue contracts, and that does not include upsides from profit sharing, either3. Customers are not going away or scared out because of an oil price dip, they and TNP seem to be in it for the long haul, as is Camarda. Now with $1.6B debt, Tsakos has lowered their debt by $190M from the third quarter last year, and has a good history of debt repayments even given harsh conditions2. Now, given the stock and oil markets volatility we are seeing, we certainly couldn’t say that this will be the end of TNP’s decline, (though we note it is actually down percentage wise on the year a lot less than many other stocks). But from the best of our analytic perspective, we see potential for an above industry average dividend payout and are confident in the stocks’ upside potential. 2: TEN, ltd: TEN LTD. REPORTS THIRD QUARTER AND NINE MONTHS 2018 RESULTS. November 30, 2018. 3: TEN, ltd: TEN, LTD ANNOUNCES 24 th LONG-TERM CHARTER YEAR-TO-DATE. November 26, 2018.